Sami Sänpäkkilä completed his Bachelor of Fine Arts degree from Tampere Polytechnic in 2005. He is a musician, film-maker and the head of Fonal Records. To date he has released five full length albums under the name Es and has played in various bands including Kiila, Kemialliset Ystävät and Tuusanuuskat. Sami has made short films, documentaries and music videos which have been screened in various museums, art galleries and film festivals around the world. The films and the music are experimental moodscapes that explore the themes of melancholy, pathos and hope. 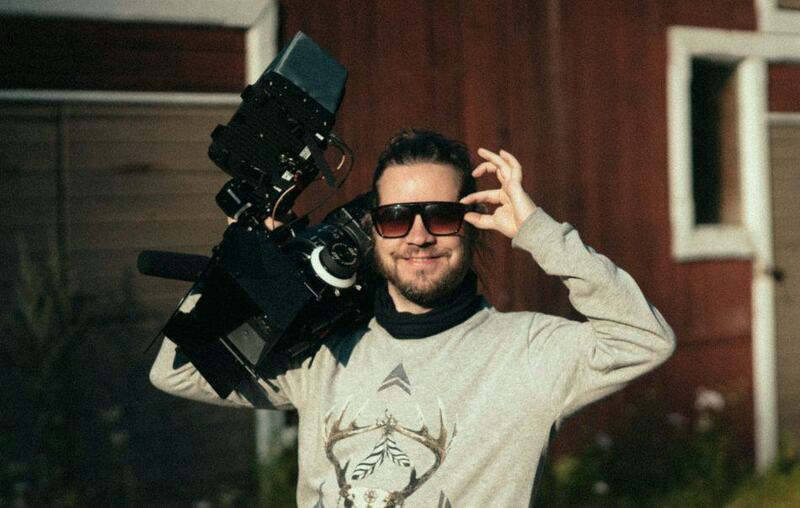 He is the cinematographer and editor of the feature film Samurai Rauni Reposaarelainen and director and cinematographer of the feature documentary The Goodiepal Equation. The distinction between the actions of animals and humans at this point in history may be described as follows: humans always direct their actions towards an end result of an emotional nature. We employ memory in an attempt to rationalize the meaning of life or the search for it. Most look for these answers and simultaneously drift away from nature and the natural. At this level the behavior of animals has not changed since the birth of the world. Survival and continuity of the species are still their cardinal goals. Humans on the other hand are prepared to die for their faith and beliefs. The ways we search for meaning varies. Creating and finding narratives in one’s own life becomes the solution. In every tiny moment of our lives lays a hidden narrative deeper than any one lifespan. My films and music are concerned with discovering these hidden private narratives and does not deal with time in a linear fashion. It perhaps merely tries to slowly fit a feeling from the silver screen to a memory of your own, and elevate that with hope and kindness. Through the melancholy of that moment you may feel like you are looking at the starry sky or a total solar eclipse. In a way that will hopefully make your memories irrationally comforting. Please email me if you wish to have my CV. Thanks!